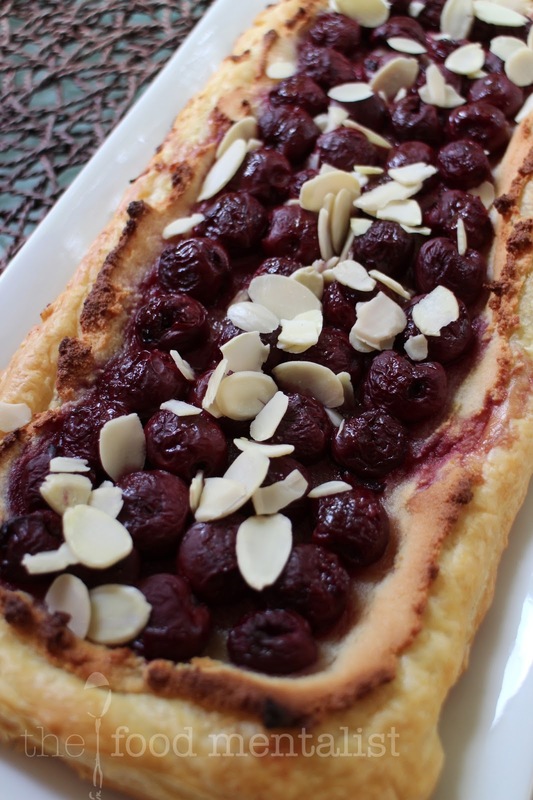 This tart is SO EASY! I discovered this gem in delicious by Valli Little which I reviewed here late last year. What makes it so good is that it is super super easy and it tastes great. Rather than spending hours in the kitchen having to make everything from scratch including the frangipani almond base, you simply open up a packet of marzipan (and if you are like me make sure you have a set of handcuffs on standby to prevent you from devouring the entire block before you can actually use it for the tart). I absolutely LOVE the stuff. Then you simply blend it up with a little cream, spread it over a thawed piece of puff pastry and top with seasonal fruit, drizzle with honey, bake and then top with crushed nuts and serve. You also don't have to worry about being too pretty about it either, the more rustic the better. Easy as! The first time I made this I decided to use a jar of sour cherries that I had in the cupboard. Not seasonal, I know, but a great way to use them up nonetheless. 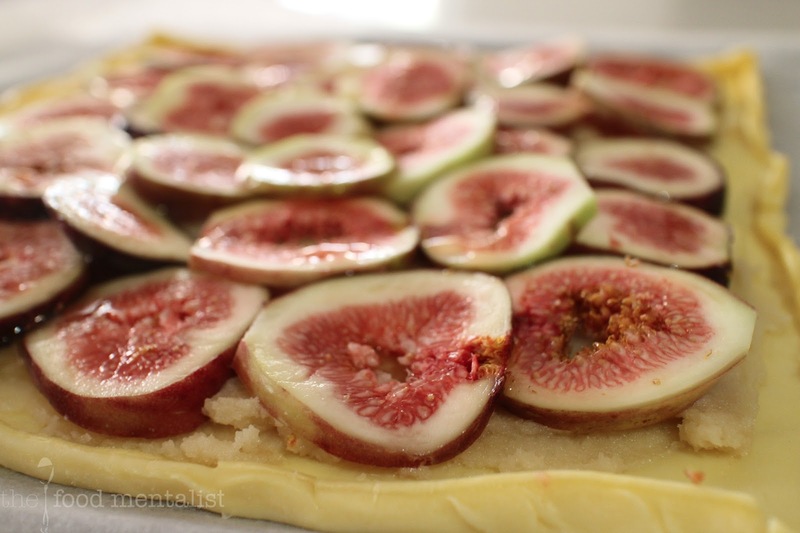 This time I decided to use fresh figs as they are in season at the moment, nicely priced and oh so very French when paired with the marzipan. Oui! Use one square piece as is or combine 2 sheets and shape into rectangle if desired. 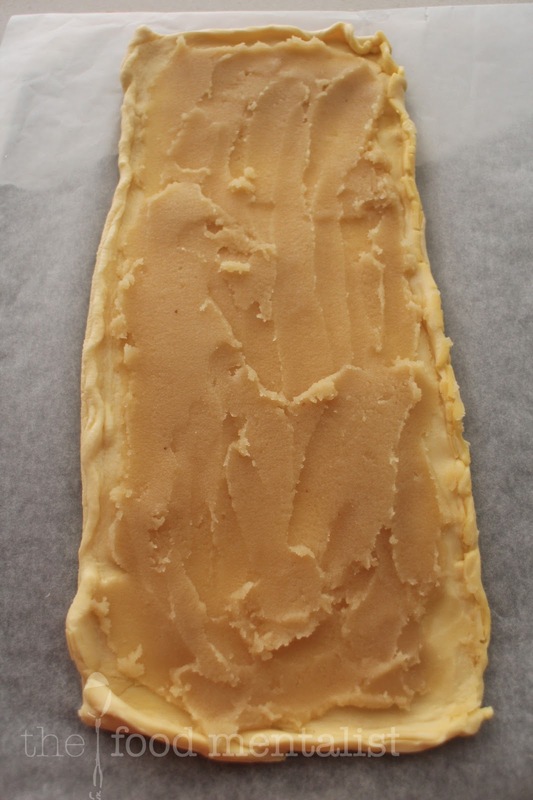 Place marzipan and cream in a food processor and blend until smooth. 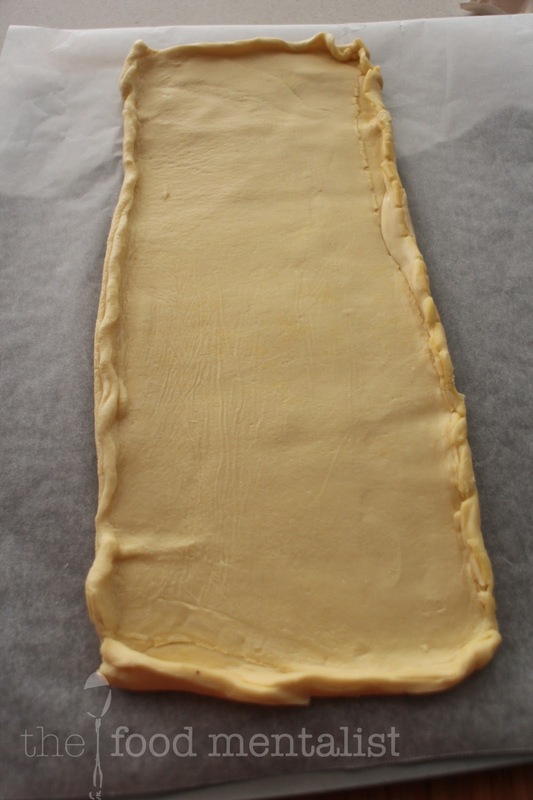 Spread over pastry based leaving a 2cm border. Arrange chosen fruit on the marzipan mixture and drizzle with honey. 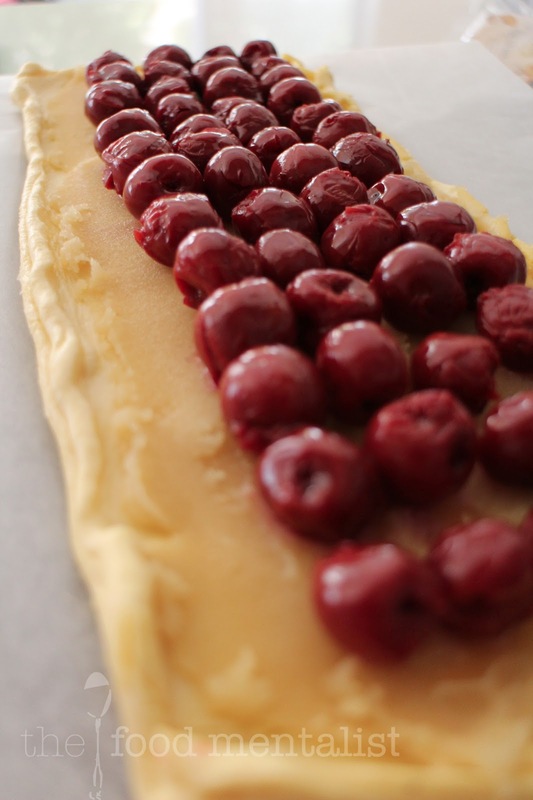 Bake for approximately 25 minutes or until the pastry is golden and the fruit and honey has started to caramelise. Dust with icing sugar (optional) and top with nuts. Serve with extra cream, ice cream or custard as desired. * The following nuts are best suited to use with this tart: pistachios, slivered or flaked almonds, macadamias. * Seasonal fruit including cherries, apricots,pears,figs, nectarines and some apples are best for this tart. wow this look amazing! those figs look delicious! Your one of those creative inventors in the field of Dessert. 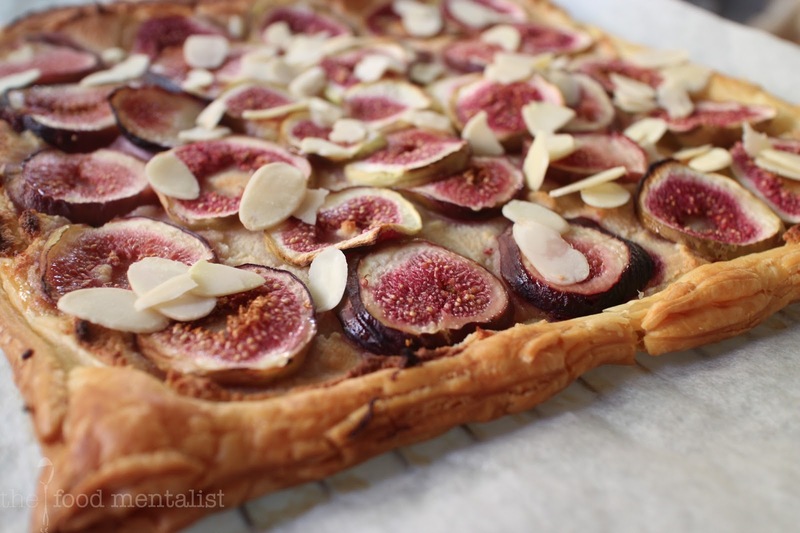 Your tart really looks delicious. thiѕ ωeb page and bе up to dаte eveгy ԁay.